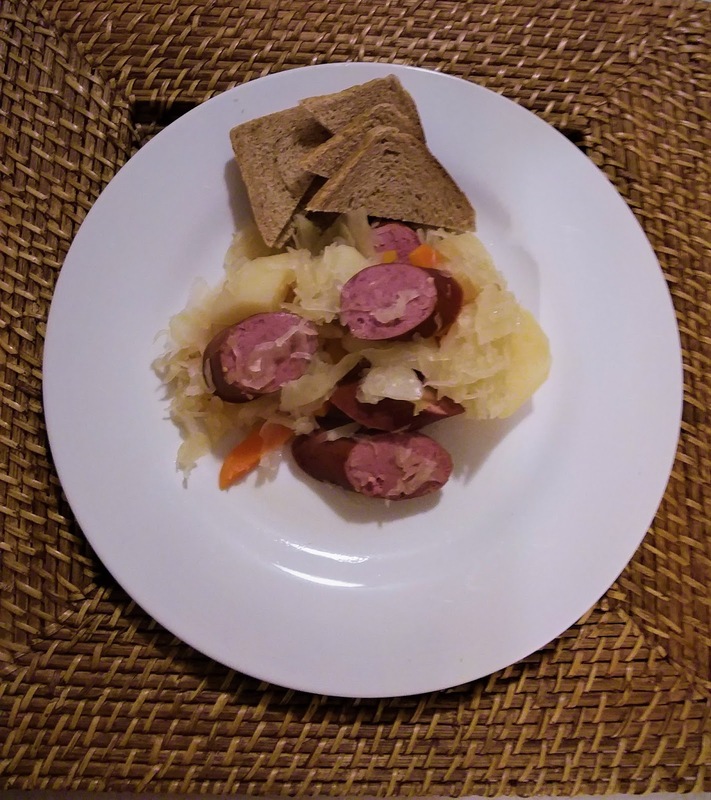 Busy and not sure what to have for dinner, Here is a easy crock pot method of making Sauerkraut and kielbasa. – Place sauerkraut into the crock pot. – Add the carrot slices. – Cut Kielbasa into 2 in slices. – Stir all ingredients until combined, turn crock pot switch to medium setting. – Slow cook for 3-4 hours.